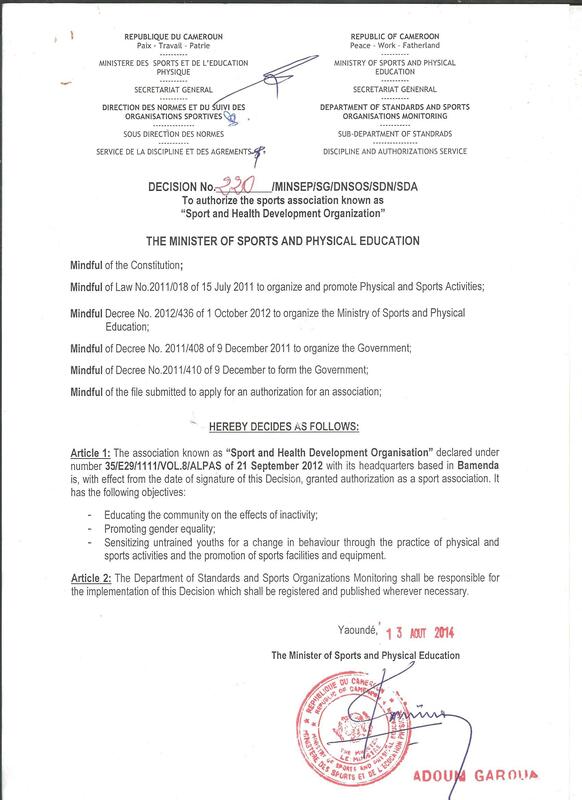 Sports for health and well-being is a program created by SHDO to tackle the growing obesity problem in Cameroon.SHDO is the only organization in the North west region that promotes sports as a means of staying healthy. We have the biggest and well equipped gym in our Fitness Center. 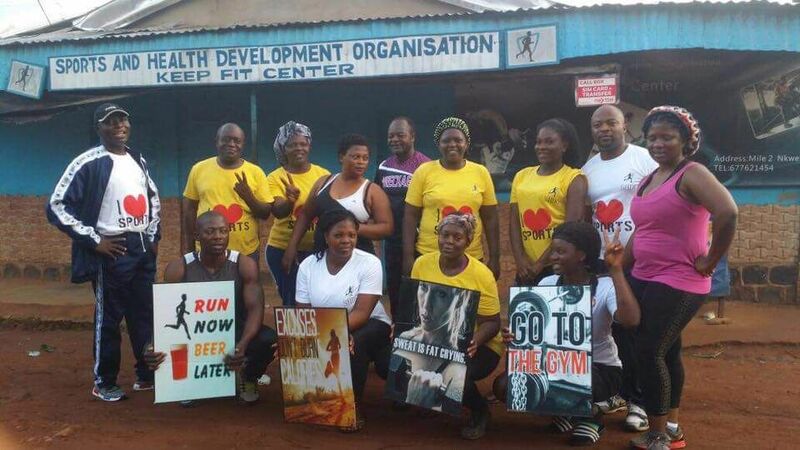 Our Sports and Health project is something new in Cameroon and greatly welcomed by the community.Since the launching of SHDO Fitness and weight control program at our Center, more than 60 overweight participants[mostly women} have lost a considerable amount of weight. Our Fitness program has been very effective in cutting down weight.Special workout exercises are given to the elderly[mostly high blood patients].we also offer massage therapies, aerobics exercise,body building, yoga, cycling, kick boxing and other martial art disciplines.